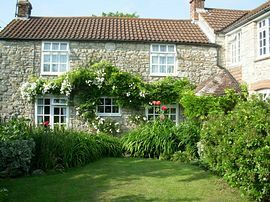 The owner is a hotel professional, therefore the B&B is renowned for it's hospitalty, with local fresh produce used for breakfast, served in our Victorian conservatory, or on the patio on hot mornings. There is also a guest's lounge. There are three pubs and a restaurant within walking distance. Close to the South West coast path. Ample off-road and free parking available. Double en-suite and a family room available for a guaranteed memorable stay. Run by hotel professionals, giving the best service possible. Pet Facilities: Pets are allowed. Small dogs. Special Diets Provision: Special diets are catered for. Vegan and Vegetarian. Turn left into Seven Acres. Third right into Puddledock Lane. We are the last house on the right. Stop where tarmac ends. From: £25.00 to £35.00 per person per night. But do telephone for latest offers.